Why See Truman and the Birth of Israel? Known for bringing the best of Chicago's theatre scene to Boca Raton, Forum Productions and the Greenhouse Theater Center continue their hotly anticipated 2017/18 theatre season with a brand new world premiere by playwright, philanthropist and Greenhouse Artistic director William Spatz. 'Truman and the Birth of Israel' explores the rise to power of the 33rd President of the United States, and his critical and often controversial role in the formation of the new State of Israel in 1948. 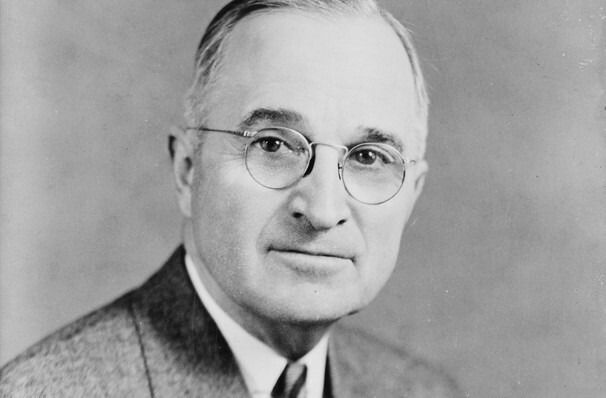 Born and raised in Missouri, Truman fought in WW1 and assumed the presidency in the final hours of WWII. Whilst he was one of the few presidents never to have obtained a degree, he implemented the Marhsall Plan, a large-scale economic rescue program to aid Western Europe in the wake of the war. His decision to recognise the jewish state of Israel drew much political opposition and trumoil, but Truman remained firm to a moral code that detested intolerance and discrimination. 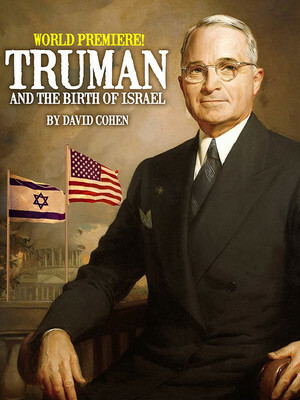 Seen Truman and the Birth of Israel? Loved it? Hated it? Sound good to you? Share this page on social media and let your friends know about Truman and the Birth of Israel at Greenhouse Theater - Upstairs Mainstage. Please note: The term Greenhouse Theater - Upstairs Mainstage and/or Truman and the Birth of Israel as well as all associated graphics, logos, and/or other trademarks, tradenames or copyrights are the property of the Greenhouse Theater - Upstairs Mainstage and/or Truman and the Birth of Israel and are used herein for factual descriptive purposes only. We are in no way associated with or authorized by the Greenhouse Theater - Upstairs Mainstage and/or Truman and the Birth of Israel and neither that entity nor any of its affiliates have licensed or endorsed us to sell tickets, goods and or services in conjunction with their events.